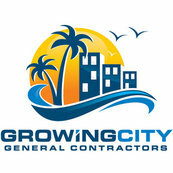 37 Reviews for Growing City Corp.
Great work and great customer service - it was a small job on my lanai but I was very happy with the work, responsiveness, & professionalism. Comment from Growing City Corp. Excellent work. This is an extremely well run company. The quality of their work is top-drawer. I would use them again with ho hesitation. The company performed quality work in a professional and timely manner. Further, it was always available to meet with me and address my questions. Beautifully executed the renovation on schedule and on budget. The quality of work was exceptional. Also found their responsiveness to be timely. We're so glad you are happy with your remodel Mary Beth! Thank you for the kind words.